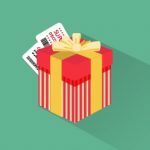 Upselling and cross-selling products on an ecommerce store is an efficient strategy to make more profit and boost sales. 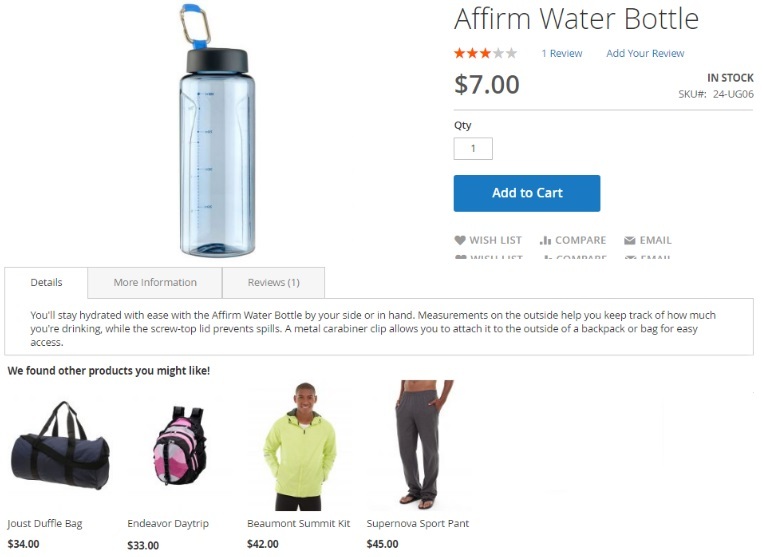 Up-sells let you promote your items that are more advanced or have a higher price tag, so that store visitors get more value from the desired product, while you increase your profit. As for cross-sells, they help to inform customers about the items complementary to a product they want to buy, which motivates them to put more goods in a cart, increasing average order value. Unfortunately, the default Magento 2 platform has limited functionality for setting product relations. That’s why merchants need third-party solutions to be able to create flexible rules for cross-selling and up-selling products. 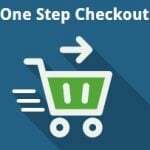 The Amasty Cross-Sell / Upsell Products Magento 2 extension is one of these tools helping store owners to create blocks for up-sells, cross-sells, and related products according to their specific requirements. Instead of adding cross-sell or upsell items for each product manually, you get the possibility to use the intelligent algorithm that generates suggestions for related products blocks automatically. 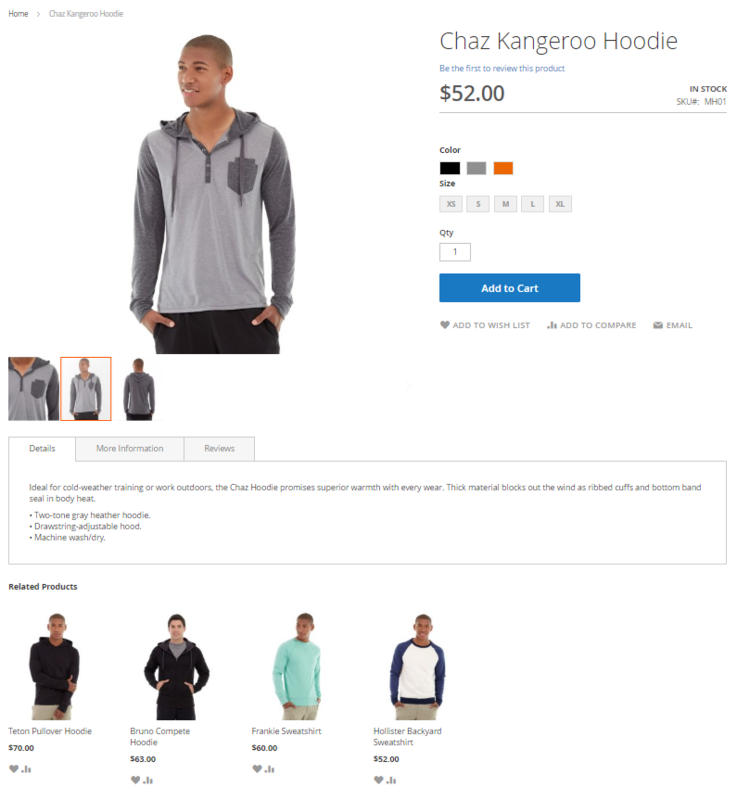 Below, we have a closer look at the Magento 2 up-sell and cross-sell products module’s functionality, as well as describe its backend configuration and appearance on a storefront. Full compatibility with mobile devices. 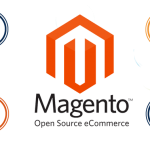 The Magento 2 related products module generates upsell and cross-sell product offerings using a smart algorithm. You can choose whether to replace manually added related products with the ones created by the extension, or complement them. 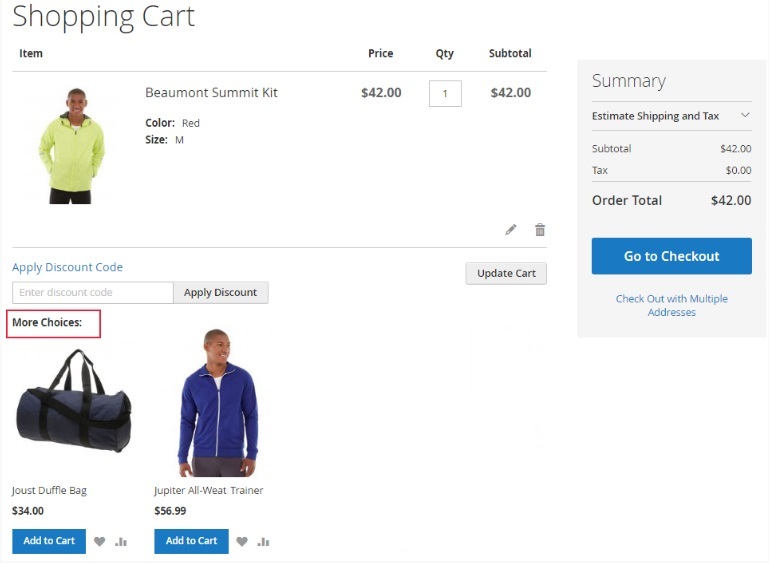 Note that blocks with up-sells and cross-sells are displayed automatically on your product and shopping cart pages. At the same time, you can tweak their appearance setting flexible product relation rules based on various attributes to show only relevant product options. Besides, you decide how many products will be included in a block. As for various product display conditions, they allow you to configure related items generation the way your business requires and easily adjust the module to motivate customers to purchase particular products. This way, you decide whether to show upsell products from the same category or different categories. Also, you can display the items of the same brand to draw your customers’ attention to a specific producer or increase brand loyalty. Besides, it is possible to set price conditions for up-sells and use them to encourage your website visitors to buy the related items of higher price. Another feature provided by the Cross-Sell / Upsell Products extension is related to the data source options that allow choosing customer behavior type based on which the module’s algorithm will select the related products. Thus, up-selling and cross-selling items can be displayed depending on the frequently bought together or viewed products. Besides, you get the possibility to create related product blocks without purchases or views history utilizing the Product Currently Viewed data source. The Magento 2 automatic related products module by Amasty generates the most relevant product offerings by letting users set a time period for statistical data gathering. In this way, you can use highly accurate data for automatic display of the products in which your customers will be most interested. Also, with the Magento 2 upsell/cross-sell module, you can exclude the products that are currently not available from the display in related products block and offer only in-stock items to your web store visitors. By promoting only available goods, you will make your related product offerings even more profitable. As for the functionality for admin users, it is quite simple to set all the required options in the backend for correct up-sells and cross-sells display. 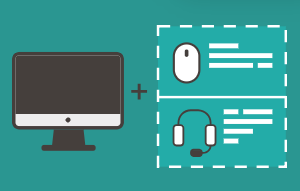 We will start exploring how the Cross-Sell / Upsell Products module works in the backend from its configuration. The extension’s main settings are located under Stores -> Settings -> Configuration -> Amasty Extensions -> Automatic Related Products. All settings are divided into four sections: General, Up-Sells, Cross-Sells, and Related Products. 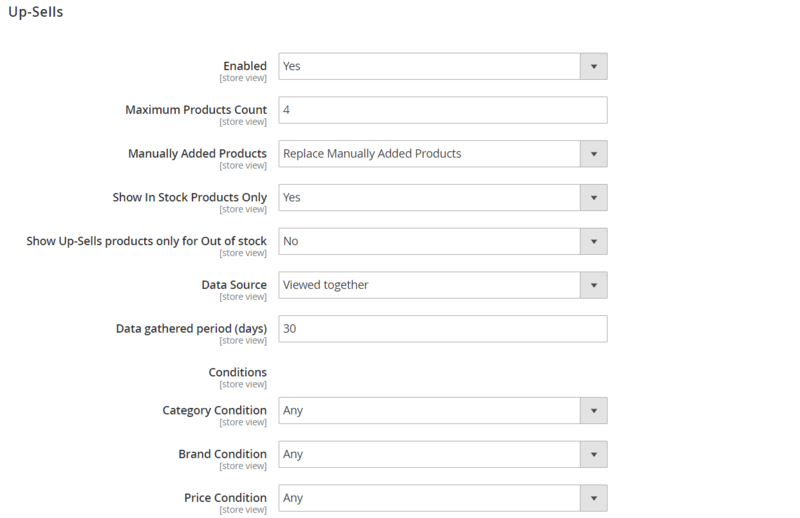 In the General tab, you should specify the maximum number of queries per period for gathering statistical data on the number of product views or purchases. In the Up-Sells section, you enable/disable the up-sells functionality, specify the maximum number of products to place in one block, and decide how automatically created up-sell products should behave: whether to display, replace, or append to manually added products. Next, you can allow or disallow showing out of stock products. Also, it is possible to show upselling products only for out of stock items. Then, you choose a data source to define how the products will be selected for a block: Viewed together, Bought together, Product Attributes, or Product currently viewed. Here you can also set a period in days for gathering statistical data. In the last three options, you specify the conditions for up-sell products selection based on category, brand, and price. 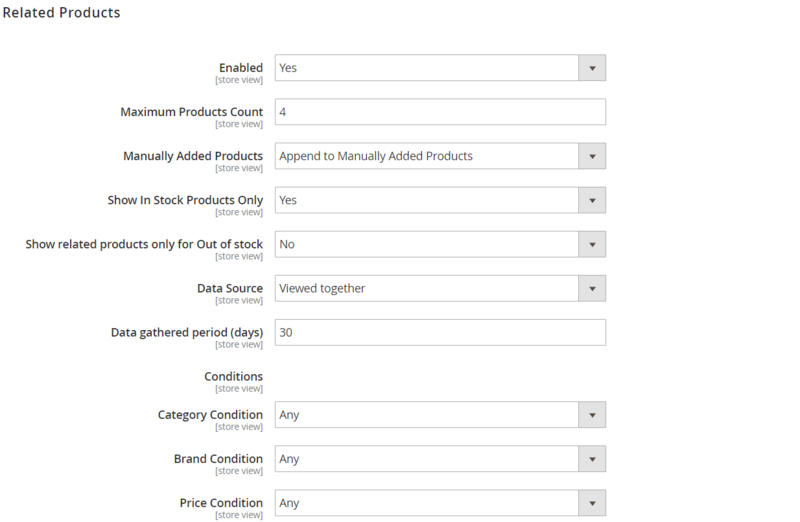 In the Cross-sells section, you can enable/disable the relevant block, specify the maximum number of products displayed in a block; set the behavior of manually added products; decide whether to show products in stock and cross-sell products for out of stock items only; choose data source (the same options as for up-sell products are available); and set the period for gathering data that will be used by the algorithm. The Related Products tab offers the same settings as the Up-Sells section. To view and manage product relation rules, go to Marketing -> Amasty Related Products -> Related Product Rules. There is a grid showing an ID and name of each rule and store views where they are applied. You can edit and delete the rules from the Action column, as well as delete selected rules in bulk. To create a new rule, you should configure the settings in two sections: Rule Information and Product Conditions. In the first tab, you enter a name of your rule and select store views. The Product Conditions section lets you set the conditions for the rule by specifying the necessary values of product attributes. A new “Product Currently Viewed” data source was added, allowing to display related products without sales or views history. A new “Product Attributes” data source was added, allowing to display related products based on product attributes. Amasty Cross-Sell / Upsell Products for Magento 2 is designed to promote specific items on an online store by building product relations for up-selling and cross-selling. By combining flexible product attribute conditions and setting display rules for the products block, you will be able to generate more sales, engage customers, and increase average order value. The module is highly customizable and lets users tweak the display of up-selling and cross-selling products in the most efficient way. At the same time, you save your time on creating blocks with related items since the extension generates up-sell and cross-sell products automatically. As for the Magento 2 upsell and cross-sell products module’s price, you can buy it for $199.